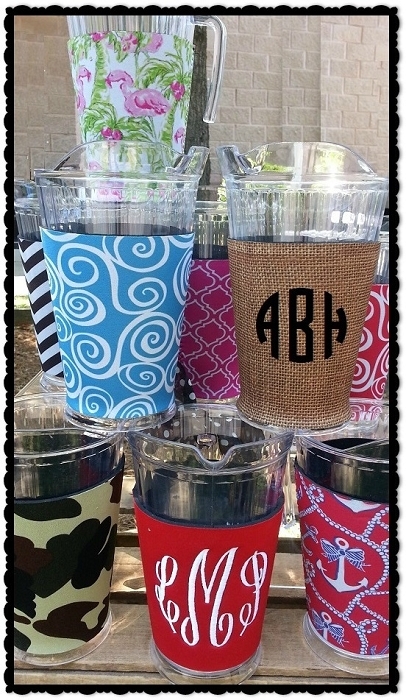 Our Exclusive Acrylic Monogrammable Pitcher with interchangeable neoprene sleeves makes a perfect pitcher for birthdays, boating, picnics & poolside events. Take the plunge into summer fun, regardless of the time of year! 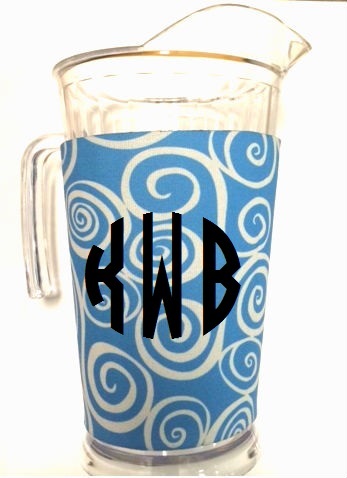 This pitcher has a handle on the side; easy for anyone to hold, a curved top to ensure spilling will happen less often and is clear for easy content distinguishing.